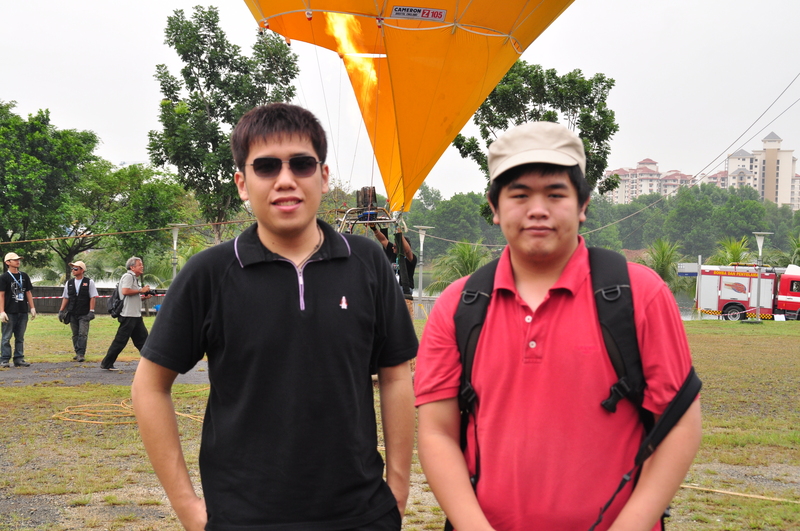 this morning i woke up at 4am just so i could leave the house by 4.30am to start my journey to Putrajaya, where the hot air balloon festival was being held. 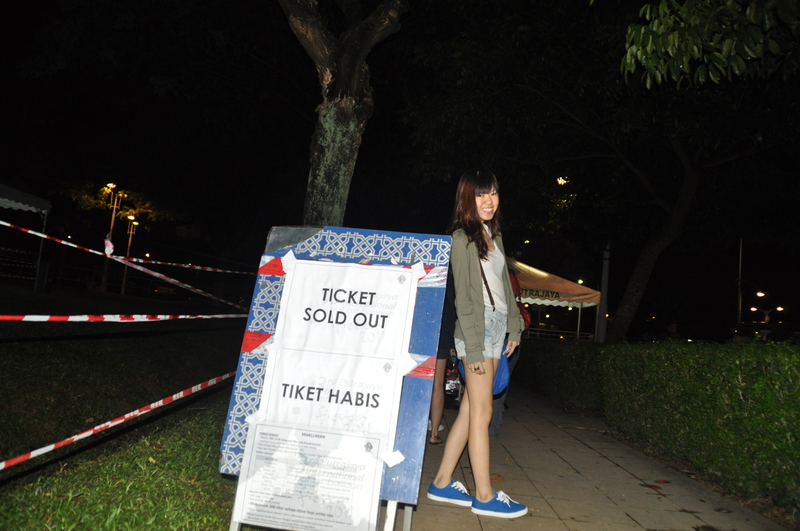 i thought the boy was insane when he told me we were gonna go there way early just so we can queue up to buy tickets. apparently to ride on one of the hot air balloons=, we will need to have a ticket and these tickets are limited to a certain amount for session. i got there and found out they sold 300 per session. to me 300 is a big number and i didn’t think there’ll be so many people besides me who would get there so early to queue. 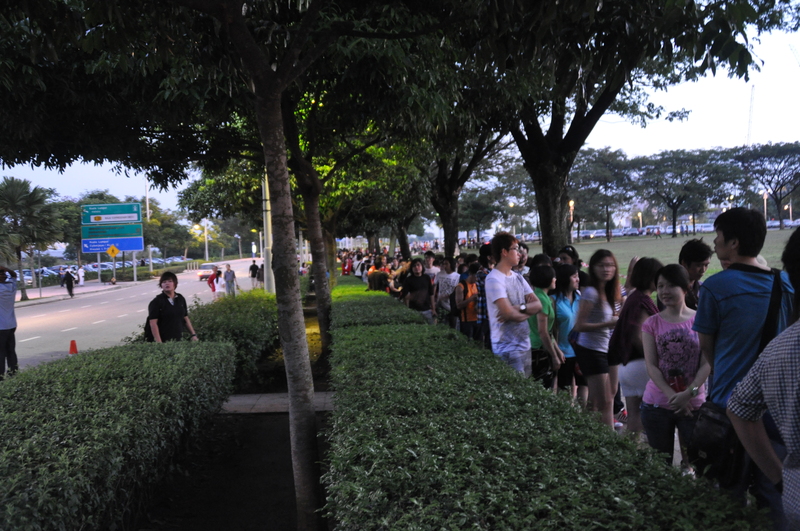 but boy was i wrong, when we reached Putrajaya at about 5.30 there was already a short que there waiting. after i joined the Que, as i sat there waiting for about 2 hours, the line steadily grew longer and longer, so long that when the booth finally opened so we could purchase the tickets, about 3/4 of the people in line had to receive the disappointing news that the tickets were already sold out. i was gob smacked ! it was so early even the moon hadn’t even set yet. in a nutshell, the event is one of those that only last as long as the hot air ballons are there, which wasn’t really long. for every activities that looks interesting, there was a loong queue to go with it. so in the end me and my friends just decided to camp on the grass and have a picnic.